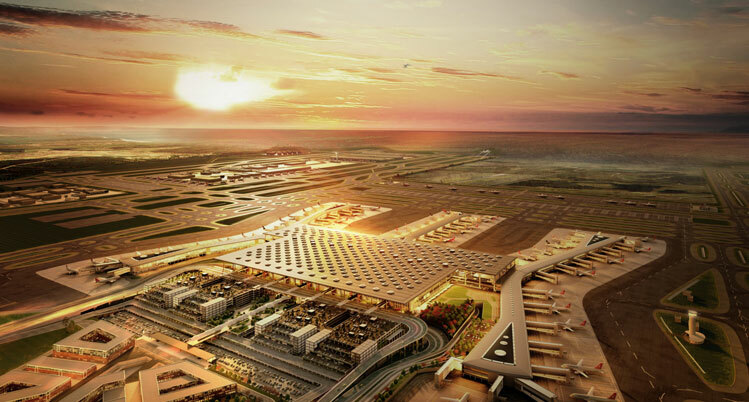 İstanbul New Airport is being constructed in four phases. The first phase will be finalised in 2018 with the opening of two runways and a terminal with a 90 million passenger capacity. When all phases are completed, the new airport will host around 100 airlines flying to more than 350 destinations with an annual passenger capacity up to 200 million. Technologically-advanced, architecturally-breathtaking, and constructed in just three-and-a-half years, İstanbul New Airport will be the biggest air travel hub in Europe, with an ultimate annual capacity of 200 million passengers. On 29 October, which marks the 95th anniversary of the Republic of Turkey, what will be the biggest airport in the world built from scratch is due to open with a spectacular ceremony. Just two days after, Turkey’s flag carrier, Turkish Airlines, will make the first passenger flight from İstanbul New Airport. The first overseas flights will be to the Turkish Republic of Northern Cyprus and Azerbaijan. Training as part of the ORAT (Operational Readiness and Airport Transfer) process is well underway. The ORAT process at İstanbul New Airport started in 2016, in consultancy with Incheon International Airport Corporation and Copenhagen Airports, aiming to evaluate the general readiness of facilities, systems, procedures, equipment and trained operations personnel. These trials have also allowed the participants, who are the end users of İstanbul New Airport, to simulate their processes under real operational conditions before the launch. 1st Trial Operation (last week of September): 1,000 faux-passengers, 2,000 faux-pieces of luggage, around 800 staff members from operational stakeholders and public institutions, two real aircraft (Turkish Airlines) and 50 pieces of ground service equipment. 2nd Trial Operation (first week of October): 3,000 faux-passengers, 6,000 faux-pieces of luggage, around 1,000 staff members from operational stakeholders and public institutions, three real aircraft (Turkish Airlines) and 150 pieces of ground service equipment. 3rd Trial Operation (second week of October): 5,000 faux-passengers, 10,000 faux-pieces of luggage, around 1,000 staff members from İGA, operational stakeholders and public institutions, five real aircraft and 200 pieces of ground service equipment. Between 25 and 30 October, only a limited number of flights will be conducted at İstanbul New Airport for the purpose of removing materials and equipment from Istanbul Atatürk Airport. The transfer process will start on 30 October at 03:00 and end on 31 October at midnight. Both airports will offer flights in a limited number during this 45-hour process. As of midnight on 31 October, Istanbul Atatürk Airport will be closed for scheduled and non-scheduled domestic and international commercial passenger transport. When all phases are complete, the new airport will host around 100 airlines flying to more than 350 destinations, with an annual passenger capacity of up to 200 million.